It’s time for our rabble of reptiles to take the stage! Our lizards have always been consistently popular at our encounters, not that this comes as any surprise to us! Lizards are such noble and stunning creatures, and when you consider that they also have temperaments sweet and good-natured enough to rival Oreo’s (which is no mean feat!) you can see why our guests fall in love with them so easily! But hey, just because our lizards share a page on our website, that doesn’t mean that they’re all the same – quite the opposite, in fact! All our lizards have varied and fascinating qualities that make them special, and will all captivate you in different ways! For instance our smaller lizards, like the geckos, tend to be much more lively and energetic, and are more likely to dart quickly around their home on the hunt for their food (most of our lizards love to eat live food like crickets, locusts and mealworms. How would you like to have that for dinner tonight?) 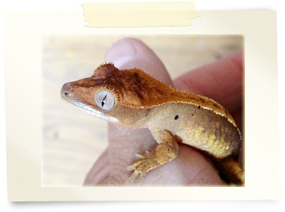 They’re super interesting too – for instance, did you know that crested geckos were once thought to be extinct? 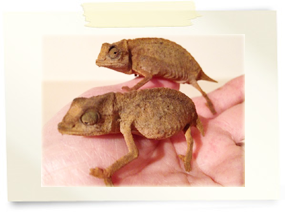 You probably already know about the chameleon’s ability to change colour (lots of things can cause this, including their mood or the temperature – sometimes they do it to communicate with other chameleons!) but did you know that their eyes can move and focus independently of one another, allowing them to see two things at once? 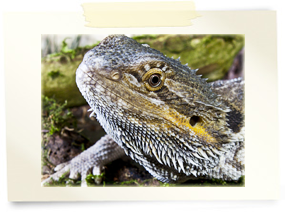 When it comes to our larger lizards, like bearded dragons and monitor lizards, everything gets a bit more chilled out. These guys are much slower, calmer and lazier. You could say that they live life at a more leisurely pace! If you set one of our bigger lizards down in your lap, they’re much more likely to sit still and peer around curiously than run away! Our little family of lizards are probably some of the most laid-back members of the Oreo and Friends team, but that doesn’t mean that they don’t come with bags of personality! Should you get the pleasure of meeting them, you’ll discover that each one has more than enough character to melt your heart!